John McAndrew was looking for a way to contribute to something larger than himself. A friend suggested Team In Training (TNT). John had lost friends and family to cancer and knew some survivors. Plus, he thought it would be a great way to get in shape. 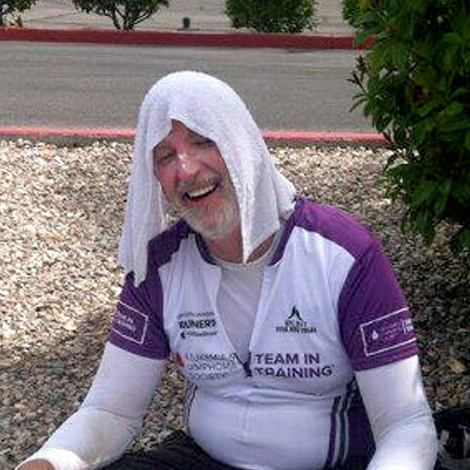 Not only did John complete a century ride, but he's in training for his second. So far he's raised about $4,400 for The Leukemia & Lymphoma Society (LLS). "It's a beautiful way to see the world," says John, "to see the people on the streets who have needed help and those who have helped them. In the process of saving lives, TNT changes the lives of others."